When Leah Barthel lost her precious mother, Chris Barthel, she knew what her mum wanted to do – help others in need. Chris became an organ donor, and saved several families the pain of losing their loved one. 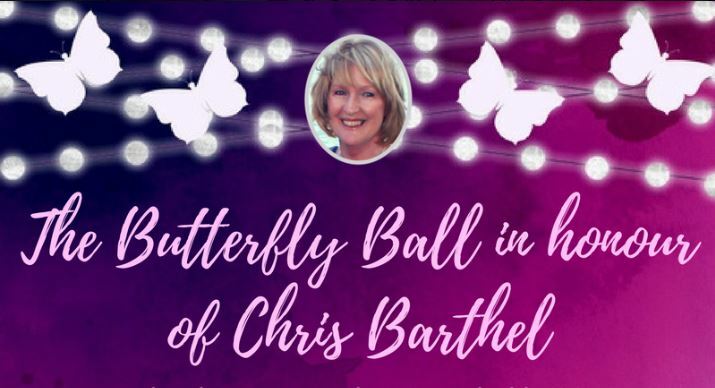 Chris Barthel’s life-saving legacy is one Leah has continued through the staging of the Butterfly Ball, a biennial fundraising event which raises funds and awareness for Transplant Australia. The 2017 Butterfly Ball was an enormous success, raising $32,000. These funds are vital for our charity. They go towards programs which support transplant recipients and their families post-transplant, and campaigns to inspire more Aussies to join the Australian Organ Donor Register. Leah Barthel shares her story on Studio 10. Throughout its existence, Transplant Australia has contributed to an environment which has seen a sharp increase in lives saved through organ and tissue donation. The number of transplants taking place every year have doubled in the last 8 years as a result. It is something we couldn’t do without the support of inspirational people like Leah. Transplant Australia’s CEO, Chris Thomas, said, “Leah Barthel is just one of those special people out there who takes every bit of positivity around organ donation, and puts it to good use to help spread the message that there are more lives we can save. Leah Barthel has also published a children’s book on organ donation, A Gift Before I Go, which is making waves around Australia. She won hearts on Studio 10, and continues to inspire discussion and awareness of organ and tissue donation.